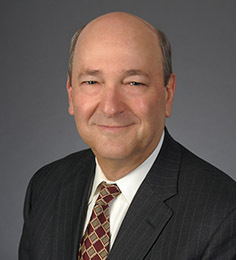 Leigh Wilco, chair of Weissman’s litigation practice, is a seasoned litigator and a Registered Neutral with the Georgia Office of Dispute Resolution. In his more than 30 years of practice he has been involved in a wide variety of civil matters, representing plaintiffs and defendants, as well as serving as a neutral for mediations and as an arbitrator. He has also served as a court appointed Special Master and as a Receiver. AV-rated by Martindale-Hubbell and selected as a Georgia Super Lawyer since 2005, he has been recognized for his extensive experience and common sense approach to get to the heart of the issues involved. As a mediator, Leigh is adept at understanding the parties’ motivations and needs and uses that insight to craft constructive practical solutions to resolve the dispute. He has represented clients and acted as a neutral in various cases and matters, including real estate disputes, premises liability, contractual disputes, professional liability, wrongful death, and personal injury cases. An active member of the civic and legal community, Leigh is a Master, past President, and member of the Executive Committee of the Logan E. Bleckley Inn of Court. He has also served on the Board, the Executive Committee and was the President of the Board of Directors of the Georgia Legal Services Program. He is active in the Atlanta Bar Association and the Lawyer’s Club of Atlanta. Leigh lends his handyman skills as a volunteer with Habitat for Humanity.